. "Mothers of Confederation". The Canadian Encyclopedia, 10 September 2018, Historica Canada. 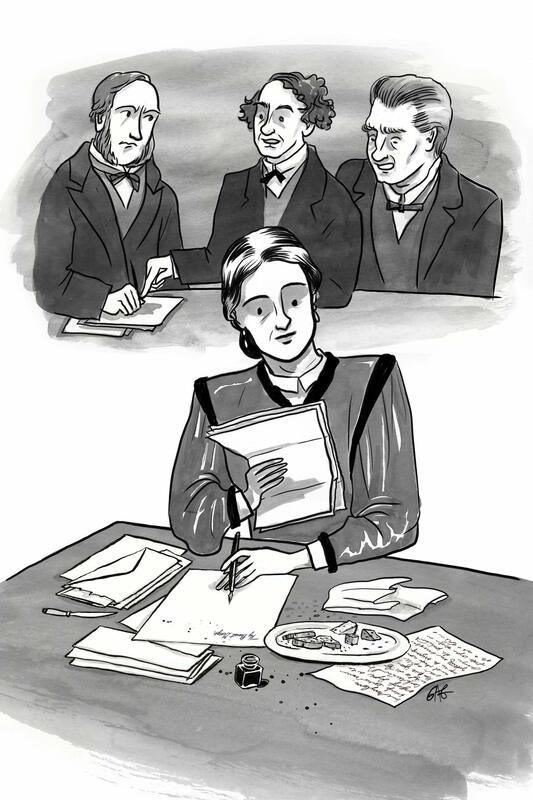 https://www.thecanadianencyclopedia.ca/en/article/mothers-of-confederation. Accessed 19 April 2019. — Lady Agnes Macdonald, 5 July 1867. It’s been nearly 150 years since Macdonald wrote; and still, her work remains on the outskirts of history. 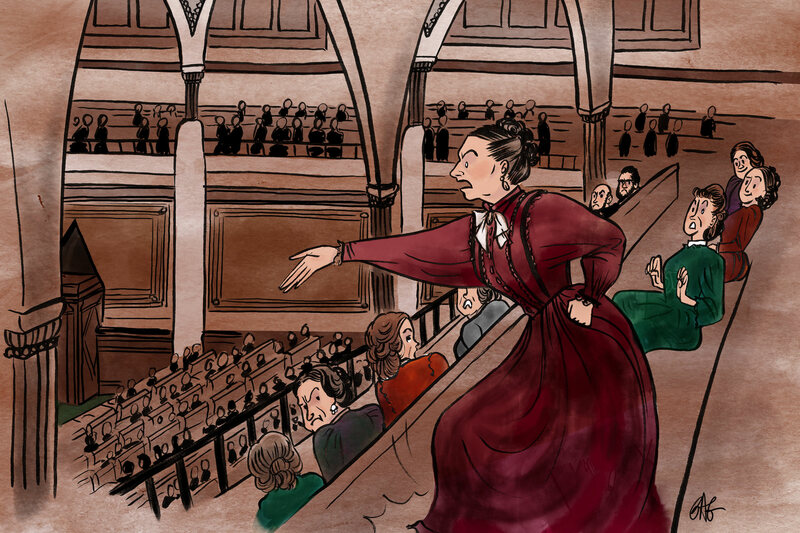 Volumes have been dedicated to the Fathers of Confederation, but what about their wives and daughters, valuable record-keepers and political players in their own right? Official records of the 1864 Charlottetown and Québec Conferences, which paved the road to Confederation, are sparse. But historians have been able to flesh out the social and political dynamics at play in these conferences by consulting the letters and journals of the Mothers of Confederation. They not only provide a view into the experiences of privileged women of the era, but draw attention to the contributions those women made to the historic record and political landscape. Below are six of these women. 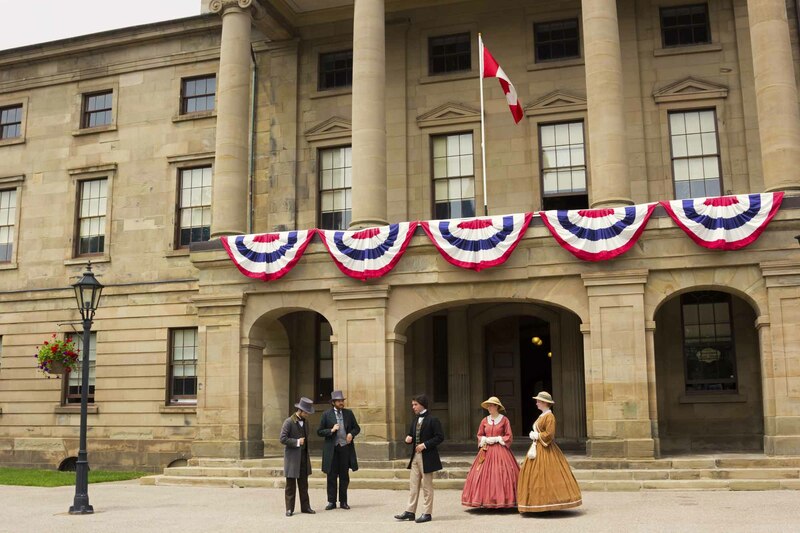 It is fitting that Province of Canada delegates sailed to the 1864 Charlottetown Conference in Prince Edward Island aboard the Queen Victoriasteamship. 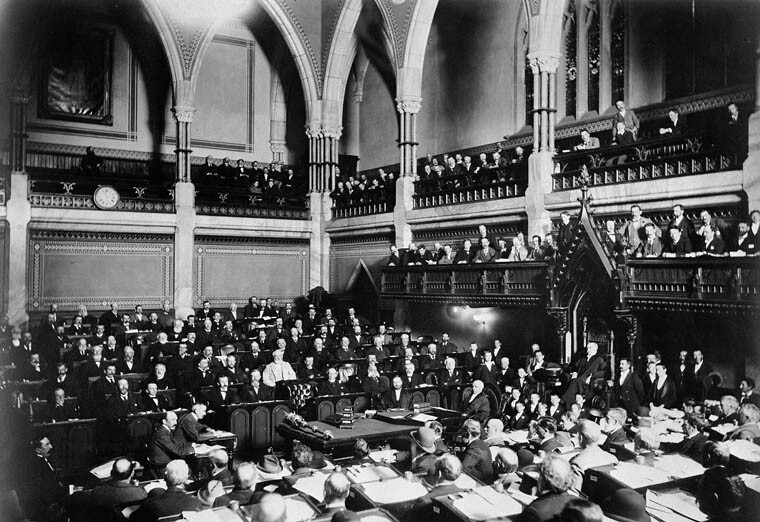 At the conference, Canadian delegates took the opportunity to propose British North American union to the Atlantic colonies. 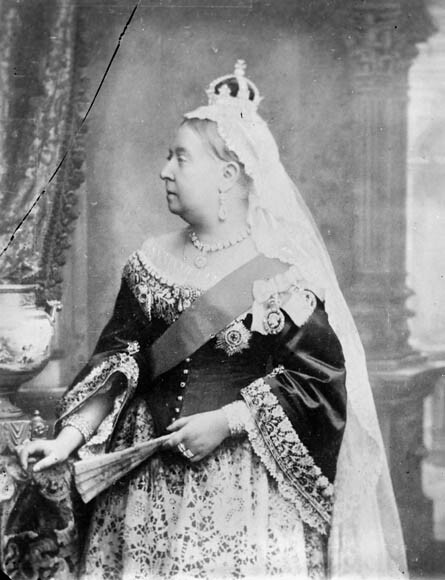 Victoria played a supportive role in the development of the Dominion of Canada, bringing together political figures from the British North American colonies through their shared loyalty to the Crown. 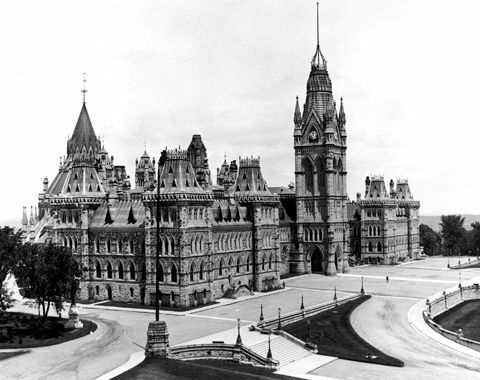 Victoria selected Ottawa as capital for the Dominion in 1867 as it was sheltered from potential American invasions and stood on the border between English and French Canada. 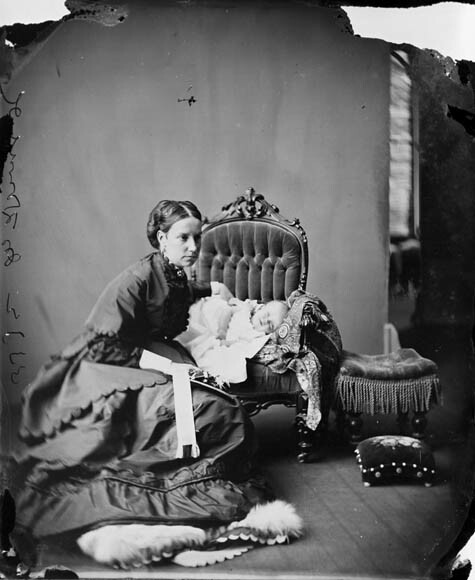 The wife of Father of Confederation George Brown, Anne Nelson Brown is credited with influencing her husband’s worldview and bringing out his softer side. Historian Frank Underhill credits George’s willingness to partner with his political foes in the name of Confederation to Anne’s mellowing influence (see Great Coalition). “Perhaps the real father of Confederation was Mrs. Brown,” he said. Anne’s correspondence with George during the Charlottetown and Québec Conferences provides a chronicle of the 1864 meetings for which there are no official records. Brown’s letters outline conference progress, dinner menus, and the people and politicians he was meeting. He’d often write of the heated debates taking place, and reflect on his stance on representation by population. "All right!!! Conference through at six o’clock this evening — constitution adopted — a most creditable document — a complete reform of all the abuses and injustices we have complained of! […] You will say that our constitution is dreadfully Tory — and so it is — but we have the power in our hands (if it passes) to change it as we like! Hurrah!" Though many of Brown’s letters are preserved, few of Anne’s have survived; George could not stand the thought of others seeing his wife’s letters and would usually destroy them. 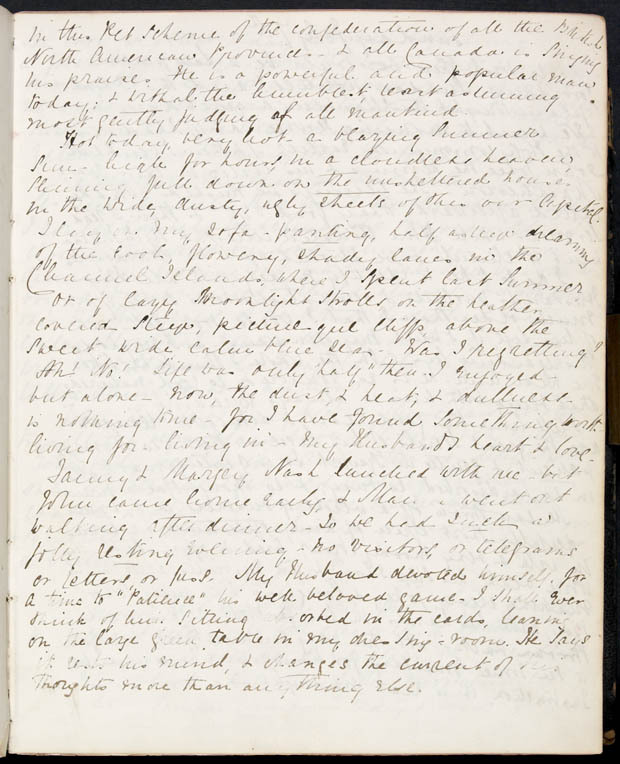 Surviving letters from Anne are those George returned to her with comments in the margins. 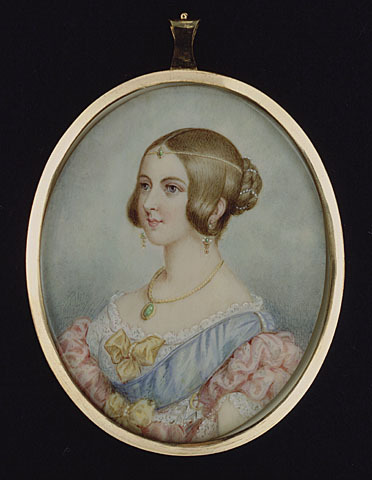 One of the daughters of George Coles, the first premier of Prince Edward Island, Mercy attended the Charlottetownand Québec Conferences with her parents. 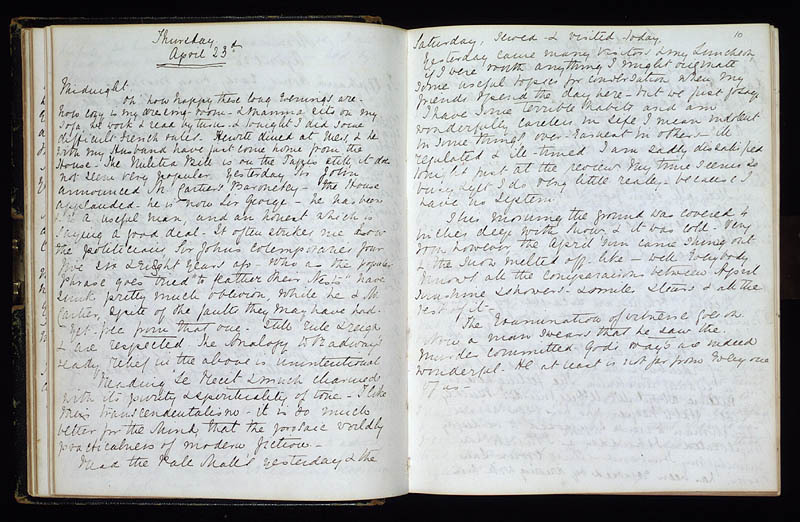 Her diary, Reminiscences of Canada in 1864, is one of the most detailed sources about the events that preceded Confederation. 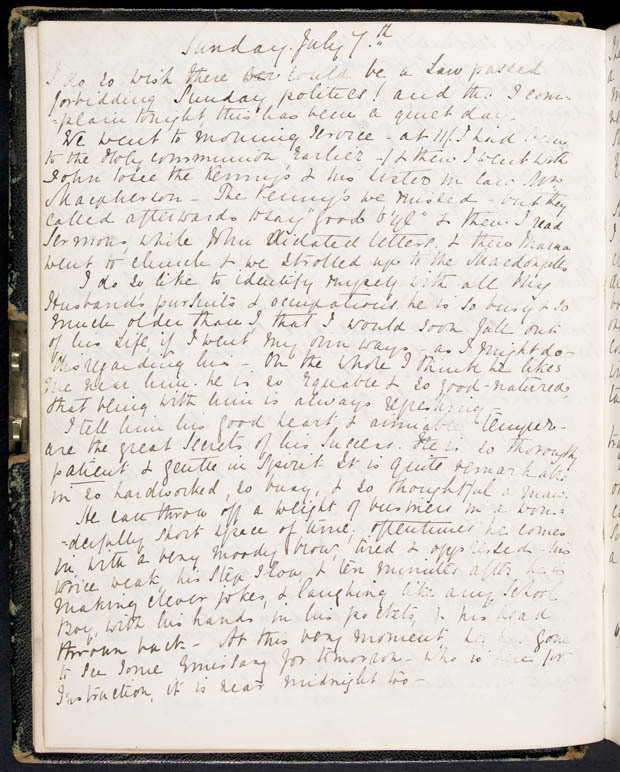 The diary includes descriptions of the Fathers of Confederation and their personalities and brings light to the social politics of mid-19th-century Canada. 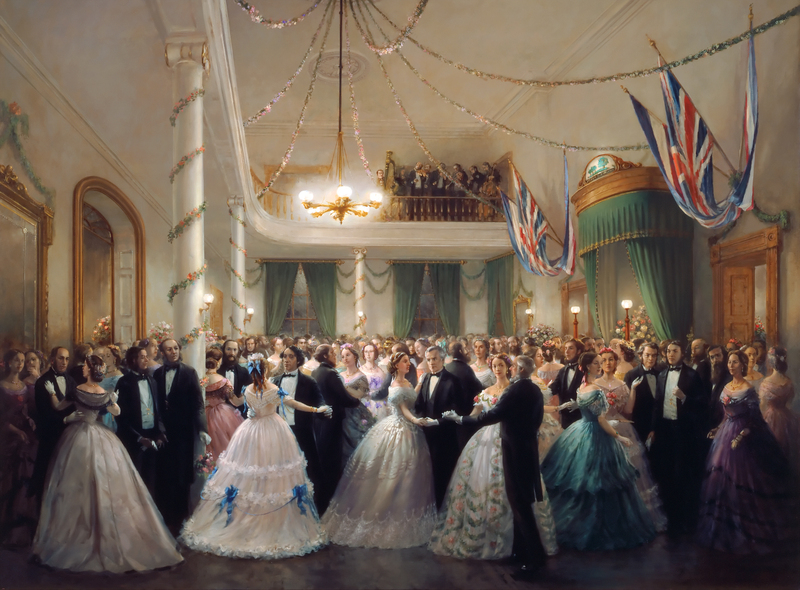 Ballroom dances and socializing in the drawing room were not simply entertainments; for the delegates and their families, they were events at which valuable political networking took place. "The Ball I believe was rather a failure as far as the delegates are concerned. The Quebec people never introduced the ladies nor gentlemen to any partners nor never seen whether they had any supper or not. The Col. Grays [John Hamilton Gray of PEI and John Hamilton Gray of NB] are both rather indignant at the way their daughters were treated." Mercy Coles contracted diphtheria during her time in Québec City and was treated by Dr. Charles Tupper, Premier of Nova Scotia. Her illness resulted in her absence from some of the festivities, but she received a continuous stream of visitors and reported the news they brought her. Luce Cuvillier, businesswoman and philanthropist (born 12 June 1817 in Montréal, QC; died 28 March 1900 in Montréal). Fille d’un important marchand de Montréal, Luce Cuvillier est passée à l’histoire comme la « maîtresse » de George-Étienne Cartier. Or, son rôle dans la vie de Cartier est beaucoup plus important que la composante d’un triangle amoureux. Femme cultivée et grande philanthrope, elle est considérée par l’historien Gérard Parizeau comme l’« égérie » de Cartier, l’accompagnant et le soutenant dans sa carrière politique. The daughter of an important Montréal merchant, Luce Cuvillier has gone down in history as the “mistress” of George-Étienne Cartier, but the role that she played in Cartier’s life was far more than that of a mere corner in a romantic triangle. A cultivated woman and a great philanthropist, she has been described by historian Gérard Parizeau as Cartier’s muse, who guided and supported him throughout his political career. According to historian Brian Young, Cartier and Luce Cuvillier lived together in the late 1860s (though they maintained separate addresses, for the sake of propriety), and their liaison was common knowledge in political circles. But none of his political adversaries ever used it against him, and journalists were content simply to report Miss Cuvillier’s presence at the social events that Cartier attended. In 1866, Luce was with him at the London Conference. 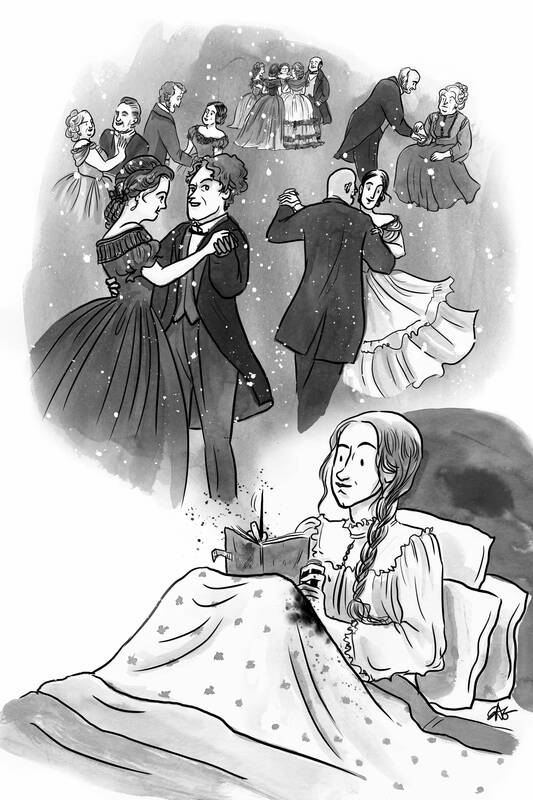 An independent businesswoman, Luce Cuvillier is fascinating because she was an unconventional figure in the Victorian Montréal of the mid-19th century. Cuvillier never married. Her contemporaries described her as an intelligent woman who took an interest in politics and never hesitated to express her opinions. 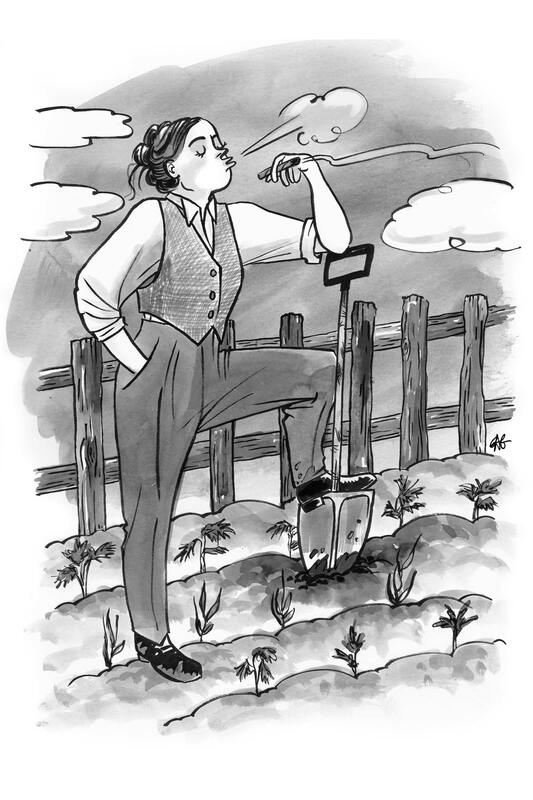 She read the poems of Lord Byron and Charles Baudelaire and the novels of contemporary female author George Sand and, like her, smoked cigars and sometimes wore pants in her garden. 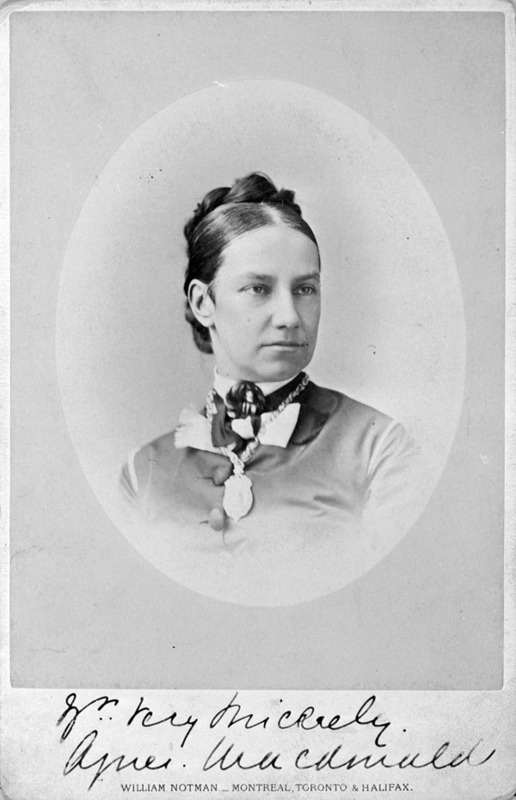 Lady Agnes Macdonald was the second wife of Canada’s first prime minister, Sir John A. Macdonald. The couple married on the eve of Confederation (16 February 1867). As the first prime minister’s wife, Lady Macdonald set the standard for the 19th-century ideal of womanly behaviour — one that was devoutly religious, dedicated to family and committed to various good works in the community. 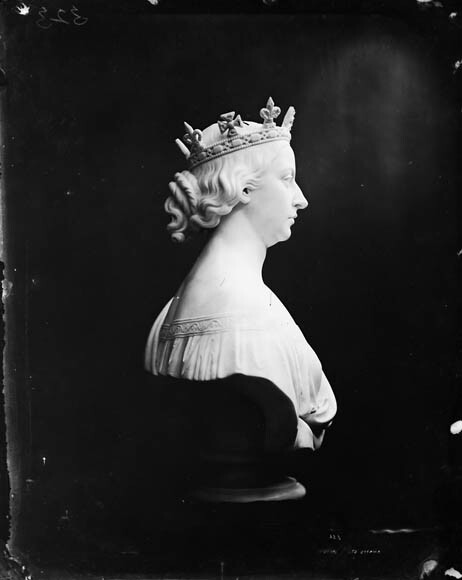 Though Lady Agnes could not vote or hold office, and therefore could not directly contribute to the political processes and policies that created the Dominion of Canada. 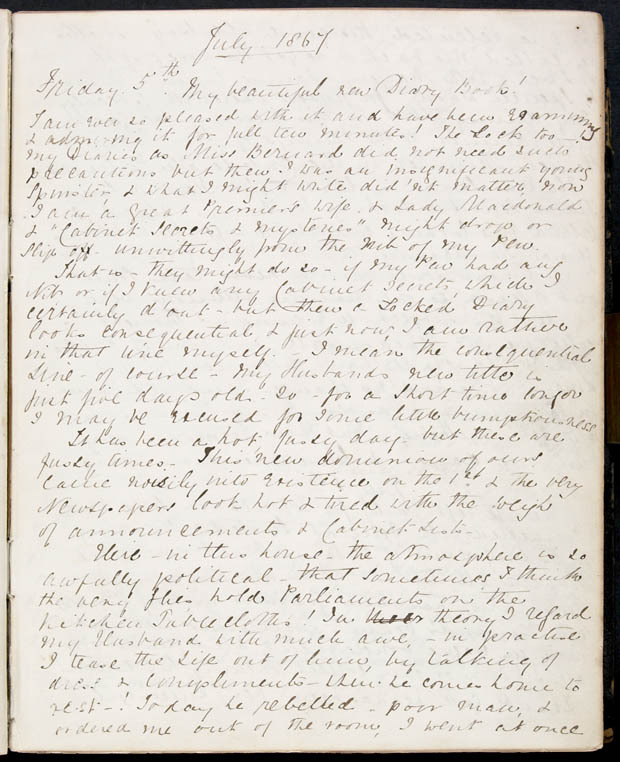 But she was an informed and engaged observer of her world, and recorded her insights and experiences in her diary and her published travel and political sketches. Lady Dufferin transformed Rideau Hall into a social and cultural centre. 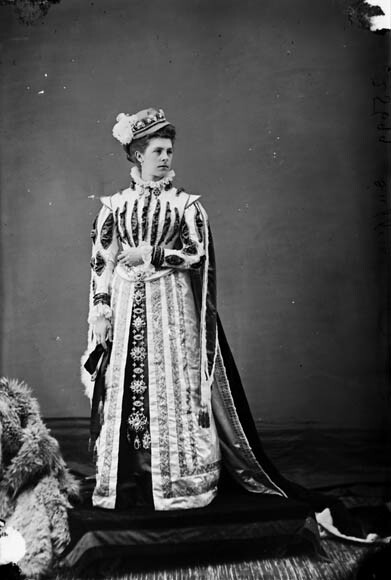 She was the first governor general’s wife to tour Canada and became one of the most well-known and popular viceregal consorts (1872–78). Lady Dufferin also described parliamentary affairs in letters to her mother (published in 1891 as her Canadian Journal). Her accounts included commonplace observations — “The business was not very interesting, but I was rather amused, as a number of people made very short speeches, and one saw their ‘tricks and their manners’” — as well as descriptions of historic moments. 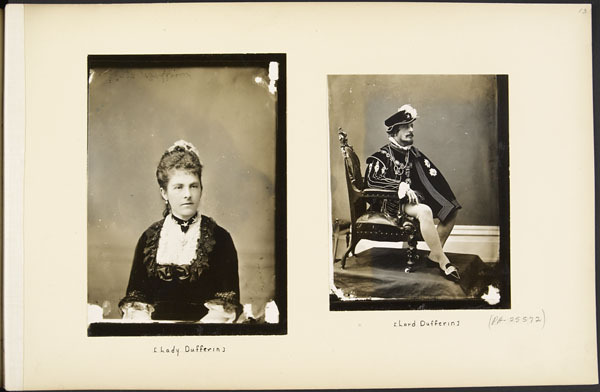 Lady Dufferin was referring to the Pacific Scandal that led to the 1873 prorogation of Parliament and the fall of the Macdonald government.